Seven Ukrainian soldiers were killed and another 14 were injured in the Donbas conflict zone over the past 24 hours, according to the Presidential Administration’s spokesman for ATO. "Over the past day, seven Ukrainian soldiers were killed and 14 were injured in the fighting," Andriy Lysenko, ATO spokesman for the president’s staff, said at a briefing in Kyiv Tuesday. Lysenko expressed condolences to the families and friends of the victims. 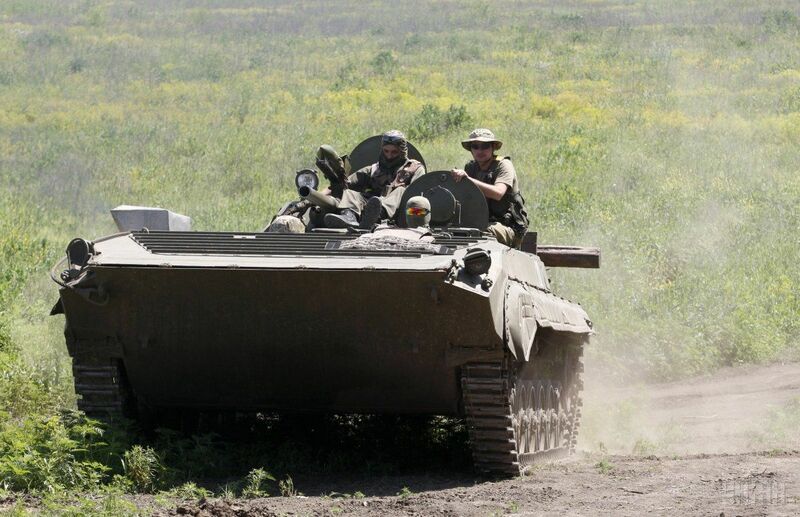 Read alsoATO report: 78 militant attacks in last 24 hrsEarlier on Tuesday, a volunteer journalist, Yuriy Mysyagin, reported that an infantry fighting vehicle of the Ukrainian forces’ 93rd Brigade exploded on an IED, killing two soldiers.